A girl. Her guy. A waitress. A ukulele. Copious amounts of chicken. 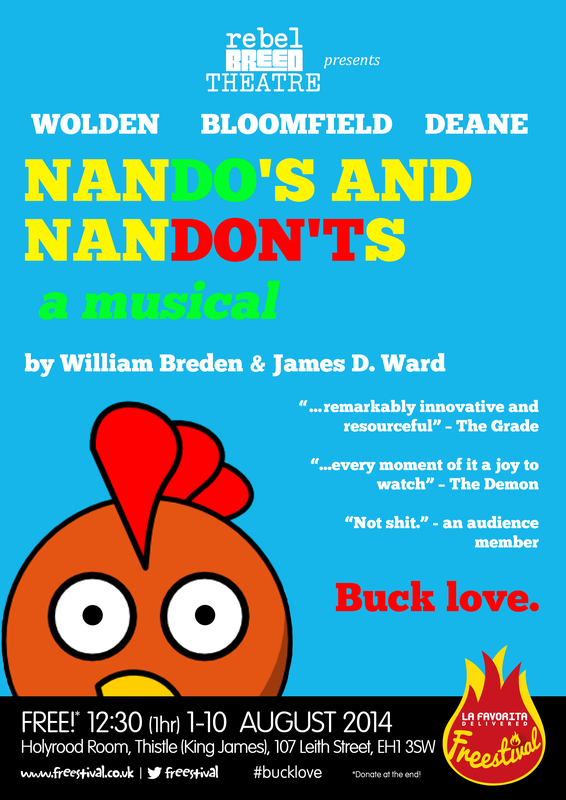 This musical comedy shows the ups and downs of Caroline, and her boyfriend Melvin, as their relationship is played out in a chicken restaurant. The show features all original songs, dancing, live music, and a bucket of laughs. You’d be clucking mad to miss it, chicken. For performance photographs, see here. For rehearsal photographs, see here.